With the help of 55Photos you can easily see the whole picture. 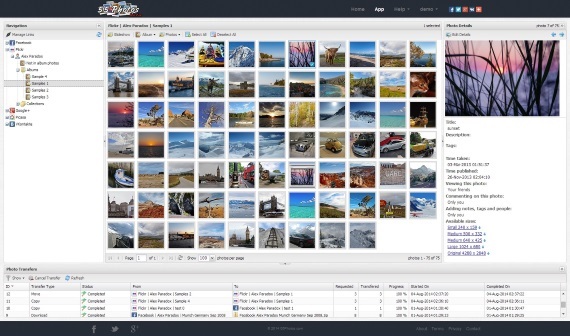 Explore, view and manage all your online photos, pictures and images in the same and convenient way. 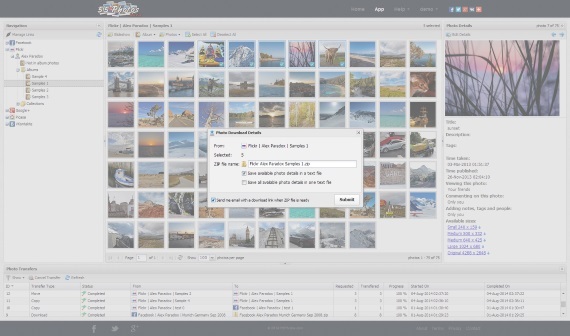 Just link all your photo sharing, social network and cloud file storage accounts to your 55Photos account and start enjoying 55Photos experience. As of now 55Photos works with Facebook, VK, Flickr, Google Photos, Dropbox, Google Drive. 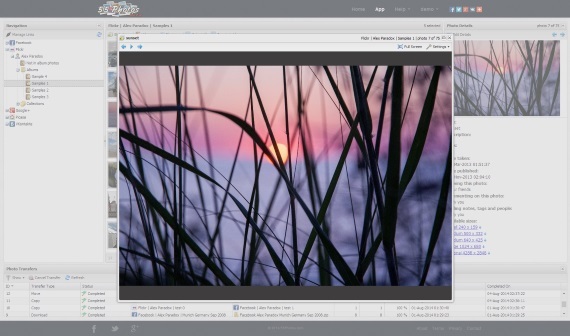 Edit photos in various popular online photo editors. View and edit photo details (metadata) like titles, descriptions and tags. Create new albums. 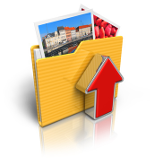 Change permissions and license or delete photos and albums. Transfer online photos between your favorite photo sharing, social network or cloud file storage services or just between albums within the same account. Copy your friend's photos to your albums. Photo details like titles and tags are also transferred. Download entire album or selected photos. 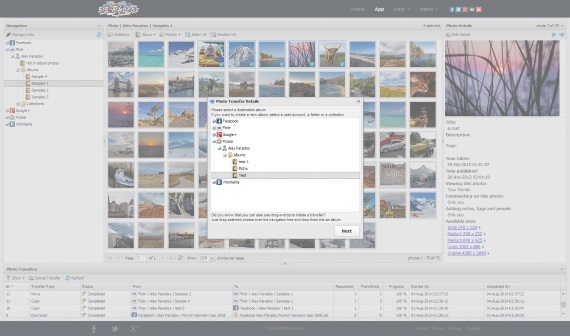 Include photo details like titles and tags into ZIP archive. Download your friend's photos. 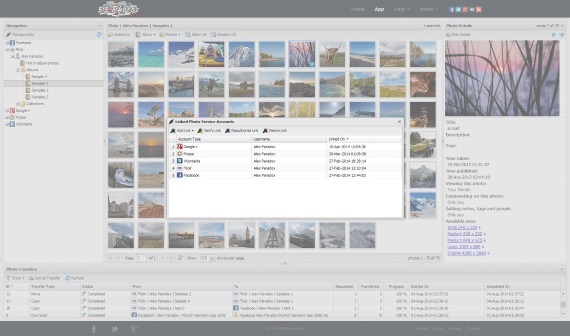 This is the easiest way to backup your online photos. 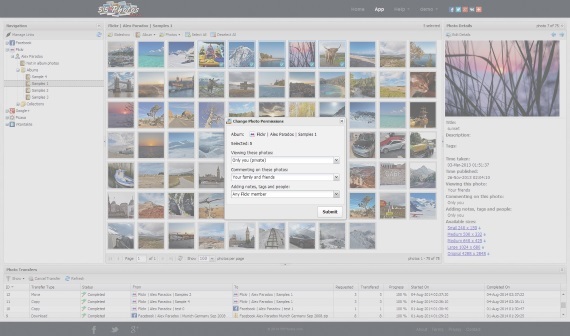 Start a slideshow of your photos or your friend's photos. Choose an interval, choose a transition effect, switch to the full screen mode and enjoy the show. 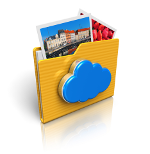 Upload photos to your favorite photo services such as photo sharing sites, social networks or cloud file storages in one place. 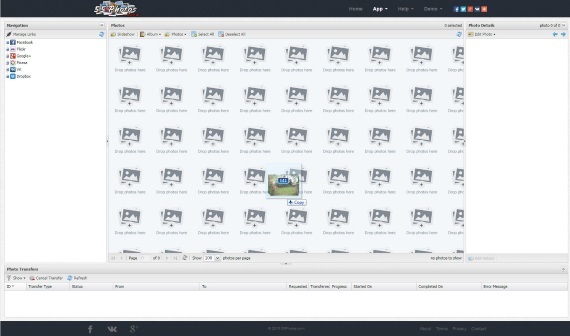 Just drag-and-drop photos from a local folder to 55Photos. Check our How-To and FAQ pages. 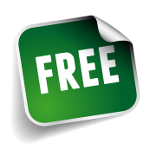 Click here to begin your experience with 55Photos application! If you like 55Photos, don't forget to spread the word! Please use sharing buttons at the top menu and like 55Photos page on Facebook. © 2018 ALVB Consulting Ltd.